Members, look no further than the AAFP for information and resources on physician well-being. The AAFP Physician Health First initiative is devoted to improving the well-being and professional satisfaction of member physicians. 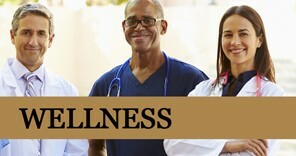 The program takes a holistic approach by recognizing and addressing the key causes of physician burnout at every level of the family physician ecosystem, including the hectic U.S. health care system, the organizations where family physicians work, their practice environment, their individual well-being, and the physician culture that often encourages self-sacrifice over self-care. Visit the Physician Health First Initiative portal to access a timely and curated collection of content, tools, and insights.